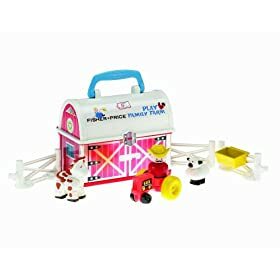 The classic Fisher-Price Little People Play ‘n Go Farm is currently priced at $10.97 at Amazon. That's 45% off the list price of $19.99. Shipping is free when you spend at least $25. This toy would be perfect to set aside for a little one for an upcoming birthday or the holidays. It's never to early to start planning for gifts!